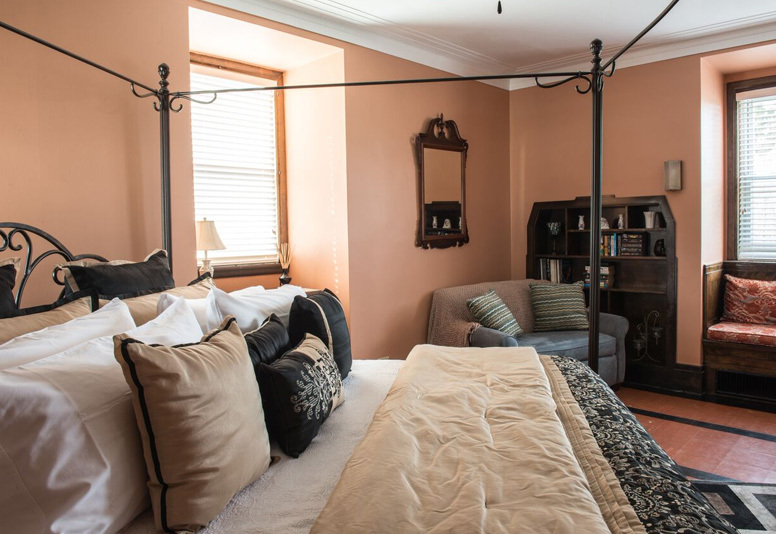 Our largest guest room features a king size iron canopy bed and twin sleeper chair. 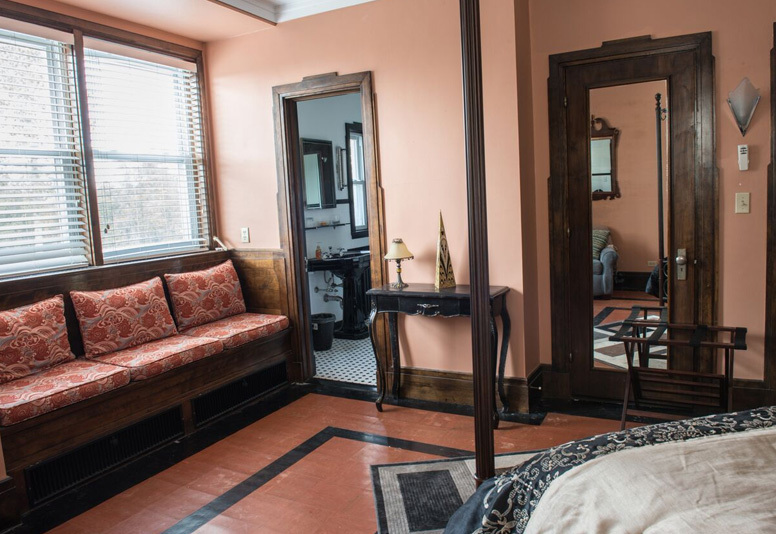 The woodwork and wall sconces are in the Art Deco style with a retro ceiling fan overhead. 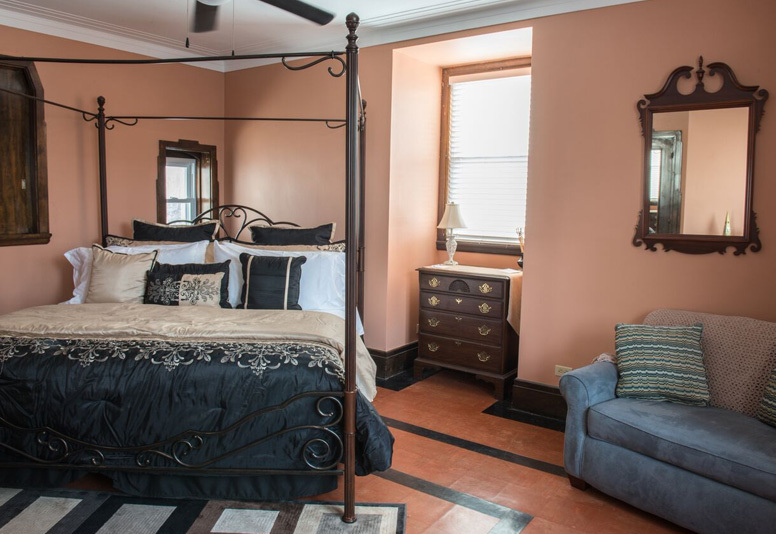 The floors are tiled in an orange & black geometric pattern with the walls painted in a matching a burnt orange. A window seat with art deco patterned cushions is under a bank of two windows on the back wall. A flat screen cable TV is mounted on the wall beside bathroom door. The bathroom is done in black & white with octagon floor tiles, black sink & bathtub. The bathtub surround is black & white tiles in a pattern popular in the 1930’s – 40’s. The shower is a dual head system with massage capability. This room can be joined with the Fitzgerald room to form a two bedroom suite for families.